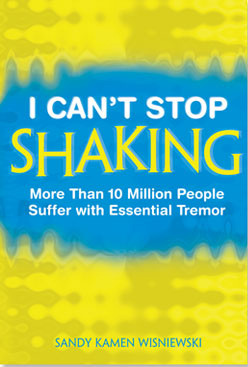 I Can’t Stop Shaking, Over 10 Million People are Affected By Essential Tremor, provides important medical information, tips on living with Essential Tremor, as well as personal accounts of people living with Essential Tremor. In the medical section Dr. Peter A LeWitt, a neurologist who sub-specializes in movement disorders, answers questions about Essential Tremor. Dr. LeWitt explains in simple terms what Essential Tremor is, how it affects people and medical treatments for Essential Tremor. In the personal stories section, people who have Essential Tremor speak candidly and openly about what life is like living with Essential Tremor.